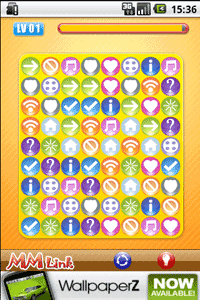 MM Link is a fun and addictive board puzzle game. Just connect the same icons and make them disappear. The faster you go, the higher your score. Have fun! New in 1.0.5? 1.Add Resume Game Function. 2.Add Help Info. 3.Fix others.